On your very special day, let Jewlz Beyond Hair help you relax and feel beautiful, inside and out! Jewlz Beyond Hair invites you to enjoy all our spa has to offer. From hair and nails, massage to cosmetics and lashes. The Jewlz Beyond Hair wedding Coordinator is Owner/Hairstylist Nicole Cox. 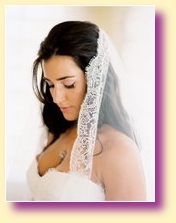 She is determined to make your special day in the salon a wonderful, relaxing and fun experience. With 7 talented stylist and make up artists, we will be sure to meet your expectations. We would love for you to experience our salon and all it has to offer. however, travel accommodations can be made at the customer's request. When you visit us, you will be treated to fruit and muffins, along with an array of beverages, including Mimosa. Jewlz Beyond Hair invites your family and friends to join you on your special day! We can provide spa services for mothers, grand mothers, mother-in-laws to be, as well as brides-maids and flower girls! You can contact Nicole at 207-693-3899 for more information, or to book an appointment. All Bridal parties are required to put a deposit for half down 30 days prior to the date of any bridal party services (including any spa services). This is non refundable. The balance will be paid prior to wedding day or the day of in 1 payment. This will ensure you of your special time to run as smoothly as possible. We look forward to serving you on your wedding day! Wedding Packages also available. Let Nicole know what services you need (Nails, Hair, Massage, Facials) and we will provide you with the perfect Wedding Package! Including having the entire salon to your bridal party only.